Applied directly to handle (grip removed) with a heat gun, this shrink sleeve will increase grip by one full grip size. The ribbing makes gives the handle a better grip protection. 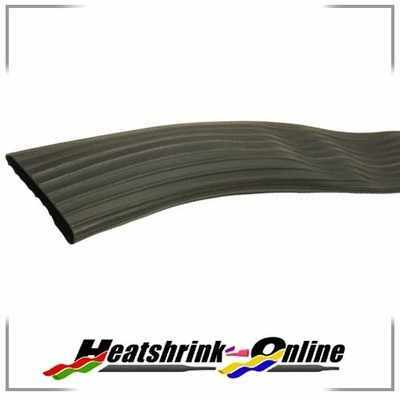 ribbed surface provides excellent grip and insulation against vibration. The tube also dampens vibrations from lawn mowers, chain saws etc or in industrial applications, helping to prevent operator fatigue.